The name of the Club shall be “MARDEN’S CLUB,” in memory of Capt. B. J. N. Marden, a prominent ski-runner, who was killed climbing Mt. Aconcagua in 1928. He was the founder of the Grisons Ski Club, on which Marden’s Club has been rebuilt. The Club shall be affiliated to Snowsport England. The headquarters of the Club shall be at Klosters. a. To do all in the power of the Club to encourage skiing and ski racing. b. To hold races at frequent intervals, and to promote races against other centres and other Clubs. c. To ensure the success of Club events by preserving a reasonably severe entrance qualification for at least certain branches of the Club. d. To promote good fellowship among members by dinners both at Klosters and in London. e. To publish an Annual Review. f. To maintain the highest possible code of good sportsmanship, courtesy and consideration in skiing and ski racing. b. The Committee may from time to time amend the annual subscription as they see fit and this does not constitute a change in the rules. Members must be given at least 30 days notice of the new subscriptions before they can take effect. c. A member once over the age of 18 may at any time compound for all future annual subscriptions by a single life subscription of £750 (or CHF 1250). d. Honorary Members shall not be liable for any subscriptions. e. The Club year ends on the 31st August. f. The annual subscription shall become due on election, and thereafter on the 1st September in each year, and shall be paid by means of a Banker’s Order, except where in any case the Committee shall decide otherwise. g. The Committee shall have power to remit the annual subscription of any member who has rendered any great services to the Club. h. No member shall be entitled to enter for a Club race, attend a Club Dinner, or vote at a General Meeting until he shall have paid all sums due by him to the Club, unless invited to do so. The Club shall consist of Racing Members, namely Ordinary members and Honorary Members. There shall also be Guest Members. The acceptance of election to the Club is held to imply acquiescence in the Rules of the Club and of any alteration in those Rules which may from time to time be passed by Committee and approved by a General Meeting. c. During the winter season a local Committee shall be formed at Klosters consisting of not less than three members, and shall include all members of the Committee in the district. The local Committee shall have power to make local rules for the duration of the season and to elect candidates to Ordinary and Temporary (but not Honorary) membership subject to confirmation by the Committee in England. At meetings of the Local Committee the chair shall be taken by the President or a Vice-President, or in their absence by the senior Committee member present. a. Officers and elective members of the Committee shall be elected at the Annual General meeting to hold office in accordance with the provisions in Section 6a. They shall be eligible for re-election, providing that no member shall hold office as President for more than two years in succession. The President shall, if available, preside over the Annual General Meeting and take the Chair at the Annual Dinner. b. A Committee Meeting shall be held at least 14 days before the Annual General Meeting. It shall be the duty of the Committee to propose candidates to fill the office of President, Vice-President, Hon. Secretary, Hon. Treasurer and Hon. Editor, Race Captain, and elective members of the Committee, and due notice of the names of any candidates so proposed shall be included in the Agenda for the Annual General Meeting. c. It shall be competent for any two members of the Club to propose a candidate for any of the posts above-mentioned, by giving notice in writing to the Hon. Secretary at least 24 hours before the date of the General Meeting, accompanied by the consent in writing of the member so proposed. d. If at the meeting it appears that the number of candidates duly proposed does not exceed the number of respective vacancies, the Chairman shall declare the candidates elected. If the number of candidates proposed exceeds the number of vacancies, the election shall be by a show of hands. e. The Committee shall have power to fill up casual vacancies among the Officers, elective and co-opted members of the Committee at their own discretion. a. The Officers and Committee shall be responsible for the administration of all Club activities. b. The income and funds of the Club shall be used solely for furthering the objectives of the Club. c. The Committee shall cause proper books of account to be kept of all income and expenditure and of all dealings with the assets of the Club and will present to the Annual General Meeting in each year Income and Expenditure Accounts and Balance Sheet which have been subject to an Independent Financial Review. d. Co-opt such other persons necessary for the due conduct of the business of the Club. e. The officers and Committee should hold meetings as required to meet the above responsibilities. There must be a quorum for each meeting of at least three Committee members, one of whom must be executive. f. The Committee shall ensure that a suitable Officer of the Club attends the Snowsport England AGM. a. Every candidate must complete the Club proposal form, cause it to be signed by two members, and send it to the Hon. Secretary for inclusion of his name in the Candidates’ Book. b. The Proposer and Seconder must not be related to the candidate and nor to each other. c. All persons whose names have been entered in the Candidates’ Book are eligible to race in the Club’s races, unless otherwise informed by the Committee. d. The election of candidates will be at the discretion of the Committee. For all Members the Committee shall want to be satisfied that the candidates support the Club in all its aims and objects. e. Candidates who have failed to secure election shall not retain their names in the Candidates’ Book after the conclusion of the winter season. Their names, however, may be re-entered in the book during any subsequent season. a. The election of Ordinary and Temporary Members is vested in the Committee and shall be by show of hands. b. Every member present in Committee must record either a favourable or an adverse vote. c. Two adverse votes shall exclude. The Committee may, by the unanimous vote of those present, invite any eminent ski-runner or any person who has rendered conspicuous service to the Club, to become an Honorary member. For this purpose at least two-thirds of the Committee must be present. a. Members wishing to resign must do so in writing at least 28 days prior to 31st August. Membership will then cease from the 1st September following the receipt of such notice. i. Fails to pay his annual subscription in accordance with the Rules, or within one month of it becoming due. ii. Is convicted for a criminal act (this excludes motoring offences). The Committee shall have power by a unanimous vote to reinstate any member of Marden’s Club whose membership lapses under either of the above clauses of this rule, provided the reason for his resignation no longer applies. The skiing qualifications of a member are deemed to have been approved once and for all on election, and cannot be taken into consideration in discussion on his re-election. c. All Guest Members will be deemed to have resigned at the end of the winter season following their election. b. The Committee shall have power to call a General meeting at any other time they shall think fit. c. At the Annual General Meeting the accounts for the year ending on the preceding 31st May, which will have been subject to an independent financial review shall be presented by the Hon. Treasurer. a. Committee Meetings or General Meetings held in Great Britain shall require seven days notice before the meeting takes place. b. The quorum of an Ordinary Committee Meeting shall be three. The Committee, either in Klosters or in Great Britain, shall have the power to make by-laws which shall remain in force until the next Annual General Meeting. All races held by the Club shall as far as is practical as determined by the Committee be held in accordance with the British Ski Racing Rules. a. All Challenge Cups shall remain permanently the property of the Club, and be insured against loss by the Club. b. Challenge Cups shall be kept in England or Switzerland. For those kept in England, they shall be presented at the AGM to the winners, who shall restore them to a designated Committee member before the next AGM. The winner is responsible for the careful upkeep of the cup while in their possession and for any necessary repairs for any damage caused. The winner is also responsible for getting the cup engraved. For those kept in Switzerland, they will be presented to the winner at the Klosters prize giving, but will be returned at the end of the prize giving to the Club for engraving and safe keeping. c. Cups can only be won by Ordinary and Honorary members and not by Guest members. a. Every member of the Club is liable to be called upon by the Committee to assist in Judging, Time-keeping, or Flag-keeping in a Club competition, test or race. b. 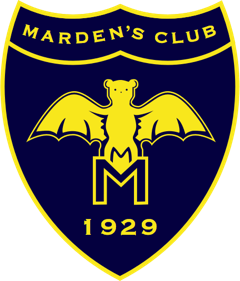 A member competing in any ski-race in the Parsenn district is expected to race as a member of Marden’s Club unless he is entitled, and prefers, to do so as a member of the Club organising that race. A General Meeting shall have power, by a majority of not less than four-fifths of those present and voting, to expel any member whose conduct is deemed to have been detrimental to the best interests of the Club. The notice convening such General Meeting shall contain due notice of the intention to enforce this rule, and the person or persons in question shall be given the opportunity of appearing before the meeting, either in person or by proxy. Family is defined as mother and/or father having responsibility as parent or guardian for children or young people under the age of 25. Any parent or guardian who is already a Member may include members of the family who are not yet Members by changing their membership to Family Membership. Once someone reaches the age of 25 they will be required to take out Individual membership, although there is nothing to prevent them doing so before. Family Members will be registered at a single address to which two copies of the Annual Club Review will be sent. Members under the age of 18 shall be eligible for all Club privileges except to serve on the Committee or to vote at the Annual General Meeting. Throughout the Rules, words importing the masculine gender shall be deemed to include also the feminine gender. Any disputes between members and the Club or Committee shall be governed by English Law. The Rules of the Club may be altered, added to, or otherwise amended at a General Meeting by a majority of two-thirds of those present and voting in favour of such alteration.